These girl runners are perfect murals for your sports loving lady. Ideally for the cross country or track lover, apply each runner girl separate throughout her bedroom or in a line as shown, almost in relay running form. 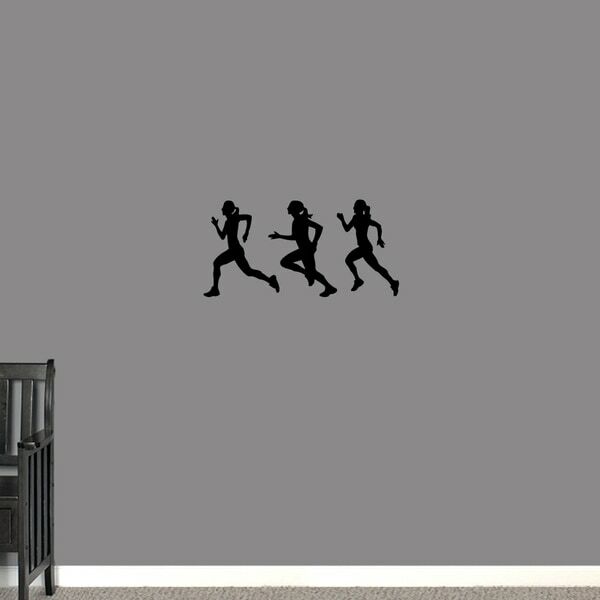 Make a dramatic affect with these runner girls silhouettes, or place above a headboard or even in the locker room at school! Remember they are removable for when the sport changes or the room changes into something else.